Regardless of your political and cultural viewpoint, 2016 was an astounding year, full of surprises. As I've struggled to understand what's happened and why, I find myself frequently turning to these seven well-written, thoughtful books. Five were published in 2016 and thus are in the running for my yearly Best Business Books competition. Two were published last year but are too relevant and essential not to bring up here. Summary: Eight years on from the biggest market meltdown since the Great Depression, the key lessons of the crisis of 2008 still remain unlearned--and our financial system is just as vulnerable as ever. The misguided financial practices and philosophies that nearly toppled the global financial system have come to infiltrate all American businesses, putting us on a collision course for another cataclysmic meltdown. Best Quote: "Productivity and growth in our underlying economy have been slowing since the 1990s, regardless of which political party was in power, what policies were in place, or which countries were doing well or poorly on the global stage. There are more serious conversations to be had about the effects that things like globalization and technology-driven job destruction have had on growth. It is true that jobs have been outsourced to places where labor is cheaper, that increasingly even middle-class work is being done by software, and that these factors have played a role in our slowed recovery. But the financialization of the American economy is the third major, unacknowledged factor in slower growth, and it engages with the other two in myriad destructive ways. Finance loves outsourcing, for example, since pushing labor to emerging markets reduces costs. But financiers rarely think about the risks that offshoring adds to supply chains--risks tragically evidenced in events like the 2013 collapse of the Rana Plaza textile manufacturing center in Bangladesh which killed more than a thousand garment workers who spent their days stitching T-shirts and jeans for companies like Walmart, Children's Place, and JCPenney in buildings that weren't up to code. Finance also loves the cost savings inherent in technology. Yet high tech financial applications like flash trading and computer-generated algorithms used in complex securities have resulted in repeated market crashes, wiping out trillions of dollars of wealth." Summary: In nearly every moment of our waking lives, we face a barrage of messaging, advertising enticements, branding, sponsored social media, and other efforts to harvest our attention. 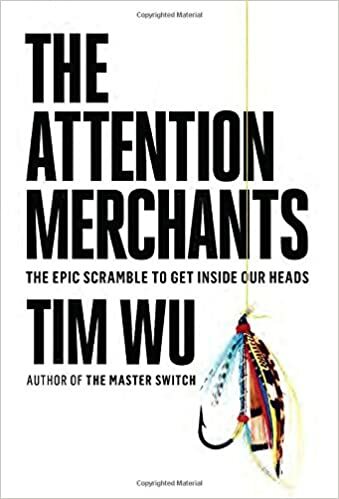 Few moments or spaces of our day remain uncultivated by the "attention merchants," contributing to the distracted, unfocused tenor of our times. Their means of getting inside our heads are changing our very nature--cognitive, social, political, and otherwise--in ways unimaginable even a generation ago. Best Quote: "The winning strategy from the beginning has been to seek out time and spaces previously walled off from commercial exploitation, gathering up chunks and then slivers of our unharvested awareness. Within living memory, it was thought that families would never tolerate the intrusion of broadcasting in the home. 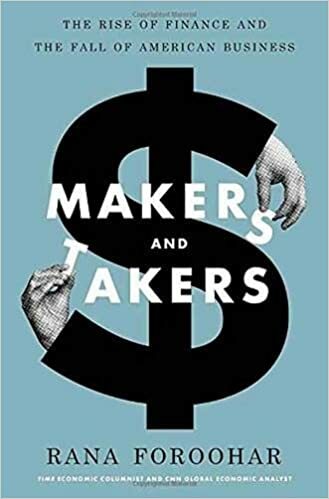 An earlier generation would find it astonishing that, without payment or even much outcry, our networks of family, friends, and associates have been recruited via social media to help us sell things. Now, however, most of us carry devices on our bodies that constantly find ways to commercialize the smallest particles of our time and attention. Thus, bit by bit, what was once shocking became normal, until the shape of our lives yielded further and further to the logic of commerce--but gradually enough that we should now find nothing strange about it." 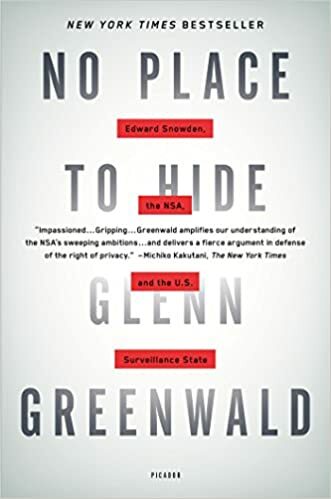 Summary: The story of how NSA contractor Edward Snowden revealed astonishing evidence of pervasive government spying and the NSA's widespread, systemic overreach. The revelations proved to be some of the most explosive and consequential news in recent history, triggering a fierce debate over national security and information privacy. Best Quote: "The ability to eavesdrop on people's communications vests immense power in those who do it. And unless such power is held in check by rigorous oversight and accountability, it is almost certain to be abused. Expecting the U.S. government to operate a massive surveillance machine in complete secrecy without falling prey to its temptations runs counter to every historical example and all available evidence about human nature." Subtitle: Or, What Ever Happened to the Party of the People? 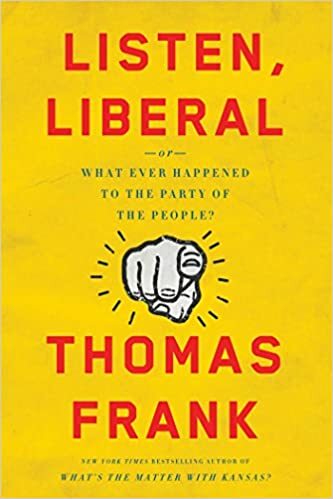 Summary: Frank points out that the Democrats have done little to advance traditional liberal goals: expanding opportunity, fighting for social justice, and ensuring that workers get a fair deal. Democrats have occupied the White House for 16 of the last 24 years, and yet the decline of the middle class has only accelerated. Wall Street gets its bailouts, wages keep falling, and the free-trade deals keep coming. Best Quote: "There was a time when average Americans knew whether we were going up or going down--because when the country prospered, its people prospered too. But these days, things are different. From the middle of the Great Depression up to 1980, the lower 90 percent of the population, a group we might call 'the American people,' took home some 70 percent of the growth in the country's income. Look at the same numbers beginning in 1997--from the beginning of the new economy boom to the present--and you find this same group, the American people, pocketed none of America's income growth at all. Their share of the good times was zero. The gains they harvested after all their hard work were nil. The upper 10 percent of the population--the country's financiers, managers, and professionals--ate the whole thing. The privileged are doing better than in any time since economic records began." Summary: Offers a powerful new framework for understanding our nation's history and current crisis. Americans have built an empire on the idea of "race," a falsehood that damages us all but falls most heavily on the bodies of black women and men--bodies exploited through slavery and segregation, and, today, threatened, locked up, and murdered out of all proportion. Best Quote: "A year after I watched the boy with the small eyes pull out a gun, my father beat me for letting another boy steal from me. Two years later, he beat me for threatening my ninth-grade teacher. Not being violent enough could cost me my body. Being too violent could cost me my body. We could not get out. I was a capable boy, intelligent, well-liked, but powerfully afraid. And I felt, vaguely, wordlessly, that for a child to be marked off for such a life, to be forced to live in fear was a great injustice. What was the source of this fear? What was hiding behind the smokescreen of streets and schools? And what does it mean that Number 2 pencils, conjugations without context, Pythagorean theorems, handshakes, and head nods were the difference between life and death, were the curtains drawing down between the world and me?" What It Explains: Why the white working class is failing and frustrated and angry at the "elites"
Summary: A passionate and personal analysis of a culture in crisis--that of white working-class Americans. The decline of this group, a demographic of our country that has been slowly disintegrating over 40 years, has been reported on with growing frequency and alarm. 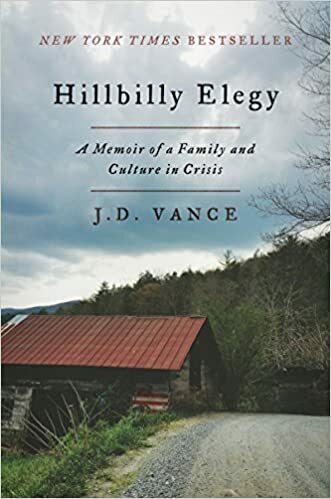 Vance tells the true story of what a social, regional, and class decline feels like when you were born with it hung around your neck. Best Quote: "My cousin Mike sold his mother's house--a property that had been in our family for over a century--because he couldn't trust his own neighbors not to ransack it. Mamaw refused to purchase bicycles for her grandchildren because they kept disappearing--even when locked up--from her front porch. She feared answering her door toward the end of her life because an able-bodied woman who lived next door would not stop bothering her for cash--money, we later learned, for drugs. These problems were not created by governments or corporations or anyone else. We created them, and only we can fix them." 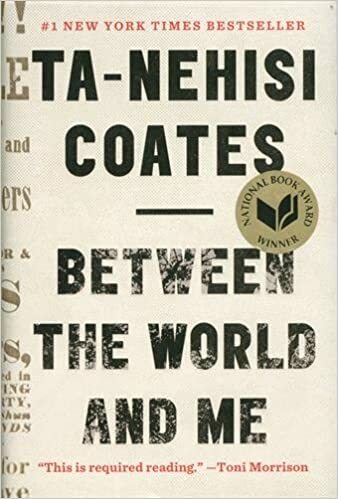 Summary: Tells the full story of how a boy from a quiet section of Queens, New York, would become an entirely new, and complex, breed of public figure. Trump is a man of great media savvy, entrepreneurial spirit, and political clout, yet his career has been plagued by legal troubles and mounting controversy. From the origins of his family's real estate fortune, to his own too-big-to-fail business empire; from his education and early career, to his whirlwind presidential bid. 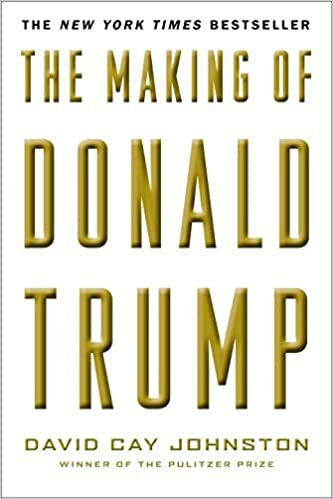 Best Quote: "Trump, who presents himself as a modern Midas even when much of what he touches turns to dross, has studied the conventions of journalists and displays more genius at exploiting them to his advantage than anyone else I have ever known. More important, Trump has worked just as hard to make sure few people know about his lifelong entanglements with a major cocaine trafficker, with mobsters and many mob associates, with con artists and swindlers. He has been sued thousands of times for refusing to pay employees, vendors, and others. Investors have sued him for fraud in a number of different cities. But among Trump's most highly refined skills is his ability to deflect or shut down law enforcement investigations. He also uses threats of litigation to deter news organizations from looking behind the curtain of the seemingly all-wise and all-powerful man they refer to as the Donald."